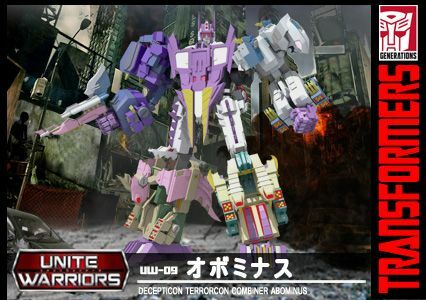 out of curiosity, what do you think of the actual potp terrorcons we're getting? I'm super pleased with all the deluxes. I personally prefer my own Hun-Gurrr over Hasbro's, but I can understand why they did it that way. Any chance you could make your Monstructor available on Thingiverse? I might be able to design shells for it. Alright. They are VERY well done, though. Do you still have pics of your modified CW Onslaught? I'm working on a heavy rebuild of him with parts of the TDW kit and I'm scouring for ideas or tips from anyone else who's tinkered with him. I've only got the one pic. I didn't actually modify Onslaught any, only the jungle Bonecrusher I cannibalized for parts. Essentially the cab has a trailer hitch I made out of some more Bonecrusher bits to hook into the gap in Onslaught's forearms when he's a truck. oh wow, that's a great size. i'll probably buy a set or two next paycheck. thanks brother. hey, do you have xtb apollyon? if so, you think you can take some pictures of him with some of your energon cubes? thanks but i already saw it thanks to someone else here. You wouldn't happen to have a Template for your Vehicon meme would you? That's what I meant :/. Those were your macros from 4chan? :lolol I loved those! Nothing wrong with a short username. Yours makes more sense than mine does. Hey man, it was nice talking to you.